Zero take-up. Zero trigger play. None. New from Hornet Products. 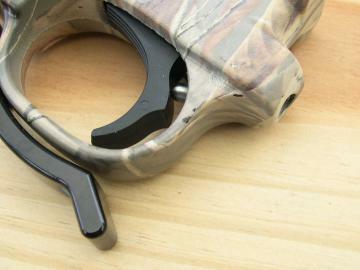 The Spitfire our new trigger assembly upgrade for your Ruger® 10/22® rimfire rifle & Charger®. If you have been dissatisfied with the 6-8 pound trigger pull that came with your rifle, this customized trigger assembly may be perfect for hunting & target shooting. The trigger release is light, crisp and precise only 2.75 lbs. or less. *Certified*. Each Hornet Trigger Guard Assembly has been carefully fitted, lubricated, and tested before shipment. What makes it special are the custom replacement parts included in the assembly. Easy drop-in installation. No special tools needed. Gunsmith not required. Instructions included. After the stock is removed, two cross-pins attach the assembly to the receiver. Drift them out, drop the old assembly, and reassemble in reverse order. It can be done in less than 5 minutes without experience. Crisp light and precise 2.75 lb. or less trigger release. No mushy trigger play. Trigger take-up & play is nil or none. New Ruger Extended Magazine Release - push forward and the magazine easily drops away with one hand - no more convoluted pinching using both hands to operate the release. The coarse motion of the safety is refitted to cycle smoother. Color: Black polymer housing, black trigger, and black extended magazine release. An exact 2.75# fixed weight is hooked to the center of the trigger for measurement testing. Via First Class Postage. Usually one-week delivery for continental USA, HI & AK longer. An excellent trigger choice for small game hunting, casual target shooting, and plinking. Have just installed and tested the second of these Hornet triggers in Ruger 10-22 rifles. The first was for a friend who is a brand new shooter. It has proven a wonderful training tool in her Ruger 10-22 Deluxe Sporting Rifle. A new shooter should never be forced to learn with a rough trigger usually delivered from the factory. An experienced shooter can handle a bad trigger but a neophyte merely becomes discouraged. 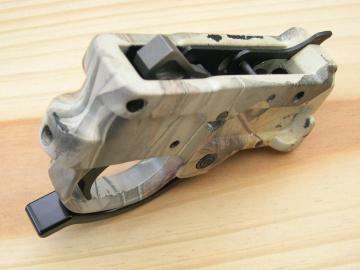 The second trigger went into a new 10-22 carbine that will be developed into a nice rifle for me. The trigger as the first improvement. The other enhancements will take some thinking but the Hornet trigger was automatic! Legal Notice: Ruger®10/22® is a registered trademark of Sturm, Ruger & Company. Refer to and abide with the safety requirements in the factory Owner's Manual.